After recommending those excellent real-time strategy (RTS) games for Linux, let's move on to this other type of strategic gaming referred to as turn-based. A game is considered turn-based if the game flow is divided into well-defined and visible parts, called turns or rounds. Turn-based Strategy (TBS) games may be less action-packed than RTS, but they are more mentally challenging. --A player of a turn-based game is allowed a period of analysis (sometimes bounded, sometimes unbounded) before committing to a game action, ensuring a separation between the game flow and the thinking process. The Battle for Wesnoth, or simply Wesnoth, is based on the Sega Genesis games Master of Monsters and Warsong (also known as Langrisser). It is played on a hex map, with single-player campaigns as well as multi-player matches. A central philosophy in the design of the game is the KISS (Keep It Short and Simple) principle; for a new idea to be accepted, it should not complicate gameplay. The Battle for Wesnoth is set in a fantasy environment, in which players build armies comprised of different units from races such as humans, elves, dwarves, orcs, trolls, and more. This includes many custom made races, as anyone can customize the game. UFO: Alien Invasion is a turn-based tactics game in which the player fights aliens that are trying to take control of the Earth. The game combines military realism with hard science-fiction and the weirdness of an alien invasion. The carefully constructed turn-based system gives the player pin-point control of his/her squad while maintaining a sense of pace and danger. 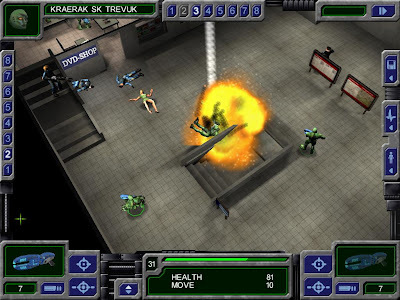 The game is heavily influenced by the X-COM series, mostly by X-COM: UFO Defense. It was nominated for "Best project for Gamers" in the Sourceforge 2007 and 2008 Community Choice Awards. Most aspects of the game are still in an evolutionary development, but it should be considered a fully playable game. UFO: Alien Invasion’s engine is free software, but it includes media under other licenses, including the non-free CC Sampling+. Development is coordinated through SourceForge.net. Freeciv is inspired by the commercial proprietary Sid Meier's Civilization series. The latest stable version of Freeciv is 2.1.6, released on August 11, 2008. 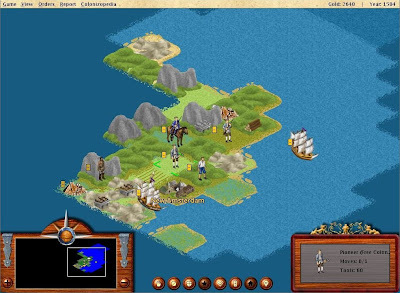 The game's default settings are closest to Civilization II, both in gameplay and graphics (including the units and the isometric grid). In Freeciv, Players take the role of a tribe leader in 4000 BC and have to guide their people through the centuries. Over time, new technologies are discovered, which allow the construction of new city buildings and the deployment of new units. Players can wage war on one another or form diplomatic relationships. The game ends when one civilization has eradicated all others, accomplished the goal of space colonization, or at a certain deadline. If more than one civilization remains at the deadline, the player with the highest score wins. Points are awarded for the size of a civilization, its wealth, and cultural and scientific advances. FreeOrion is inspired by the Master of Orion series. It is a 4X game (explore, expand, exploit, exterminate), incorporates the nation-building elements of games such as Europa Universalis 2 and features a versatile tactical combat engine. While its modular, open-source design allows for a significant degree of customization of the game engine and the story elements by the community, the FreeOrion team is dedicated to the construction of a living, breathing universe in a 'grand campaign' model. Players take the helm of a newly-spaceborne Empire to explore and colonize the stars. 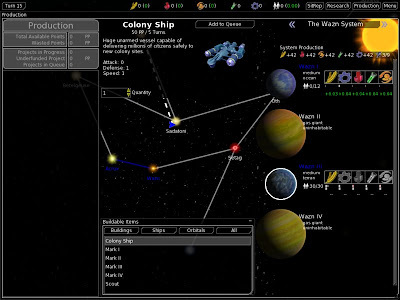 Sometimes thought of as "Civilization in space," FreeOrion's design also provides for a tactical combat engine along the lines of Homeworld and the Total War series. FreeCol is a clone of Sid Meier's Colonization. FreeCol is mostly programmed in Java and should thus be platform-independent. In February 2007, FreeCol was SourceForge.net's Project of the Month. FreeCol starts in the year 1492. With a few settlers, the player builds up colonies in the New World, struggling for power with other colonies from rival Europeans. The player gradually builds up these colonies with help from the European king until no help from Europe is necessary, meaning that the colonies can stand alone without any exterior aid, and declares independence from the King and, if the colonies are able to resist the attacks of the royal expeditionary force, victory is obtained. These games look amazing. I'm downloading UFO: Alien Invasion right now for my linux Mint desktop. Thanks for sharing. I am surprised you listed FreeOrion. It makes me feel you did not even play the games. FreeOrion looks promising but is not even at a playable stage of development. I have been been following FreeOrion for a while, but it is still in such an early alpha you can not list for best game. At the current pace, it looks like many years before it will be a playable game. Makes me lose trust in your other recommendations. @F4hy- FreeOrion works for me. I've been playing it on my Ubuntu Hardy Heron machine. Good stuff. I was personally surprised by Battle for Wesnoth, I didn't think i would like it as much as I did. But it can be a truly fun and challenging game. A big plus for BfW is that users can create campaigns and they can be added into the official release or downloaded in-game. A big plus since that means there is always something new! UFO: AI is the freakin addictive bomb. 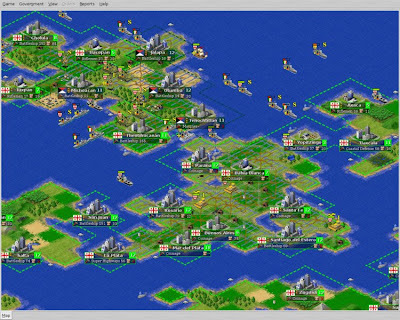 FreeCiv, although great looking and admirable, makes me want to crash my head through the monitor. 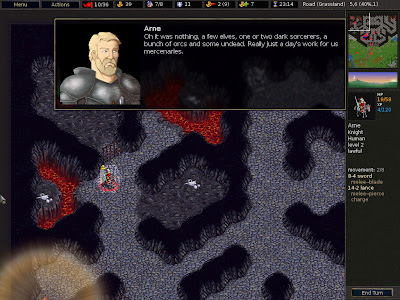 Battle for Wesnoth is surprisingly addictive and polished. 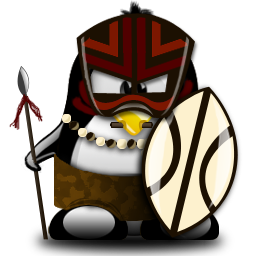 I think it might be one of the best GNU/Linux games out there. I also have great hopes for fheroes2, the engine seems quite complete although at the moment it doesn't seem like you can run it without the proprietary data (eg. maps); I'm hoping it'll be picked up by the Heroes of Might and Magic community though, there are a lot of user-contributed levels and such scattered around the web. Is there any open source game engine that can handle many units at a time on a map? Or features similar to total war? What about Stellar Forces at http://www.stellarforces.com/. It's a squad tactics turn-based strategy game played against other players. A bit like the mission bits of UFO:AI, but has 2/3/4 player games, games lobby, leagues, over 40 missions and lots of other nice features. What about the Spring engine and its many games most sharing the mechanics of total annihilation? You know Total annihilation right? The best RTS after SC or maybe on par (depeding if you like realistic tactical battles or fast paced and simple with few units like SC). Spring is just gorgeous and the best thing that happened to foss RTS games.